Sodome, my love premiered in the Project Arts Centre, Dublin in March 2010 and will be presented at the Ohrid Festival, Macedonia, on 31st July 2010 in a special open-air performance on the ancient site of St Sophia. This exciting new production is directed by Rough Magic’s Artistic Director Lynne Parker and stars Olwen Fouéré in her most striking role to date. The outstanding creative team include: John Comiskey (Designer) Monica Frawley (Costumes) and Denis Clohessy (Music & Sound). 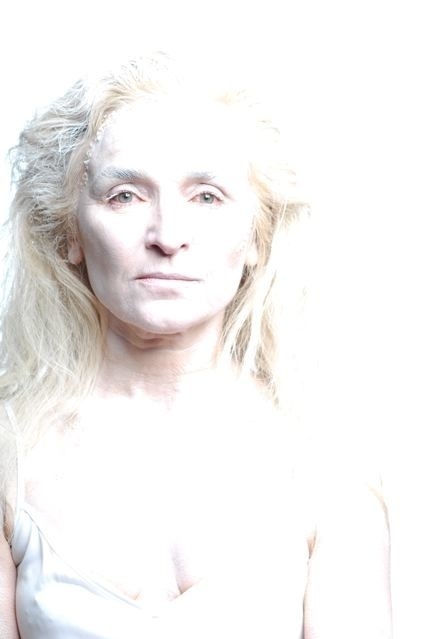 Olwen Fouéré is one of Ireland’s most prolific and daring actors (Paula Spencer, By the Bog of Cats, The Bull, Salome) and for the first time she joins forces with one of Ireland’s premier theatre companies. Rough Magic’s Artistic Director Lynne Parker, has directed many award-winning productions including Improbable Frequency, Don Carlos and The Taming of the Shrew. Laurent Gaudé is a winner of France's most prestigious literary honour, Prix Goncourt. 'go and see something that is extraordinary ... stunning... remarkable, visually a feast'.